In this blog I chronicle my search for something – an activity, an idea – that I am passionate about. Recently I have been thinking about what I will do when I find this illusive interest. Will I devote myself to this newfound passion full time? I would like to be able to say yes with confidence, but knowing my personality, I am not certain I can. But if I want a role model for following one’s passion in life I need look no further than my brother, Daniel. Dan is an incredibly talented artist. It is his passion. 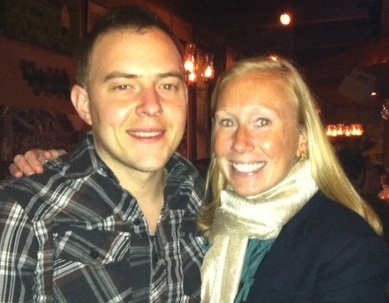 He is an inspiration in how and why it is critical to follow your heart. 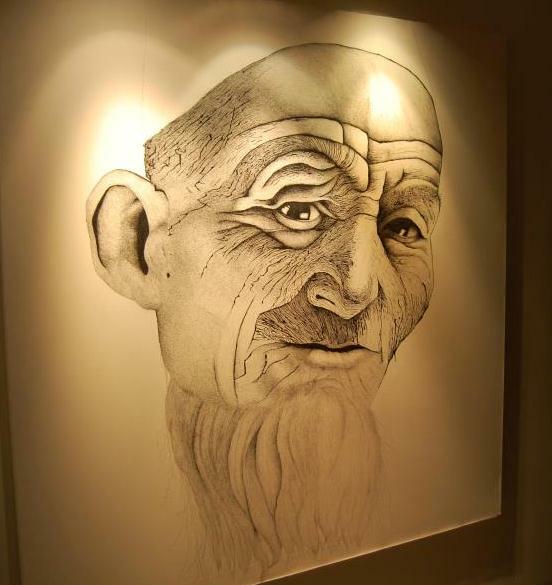 A few years ago he quit his job to devote himself to art full time. 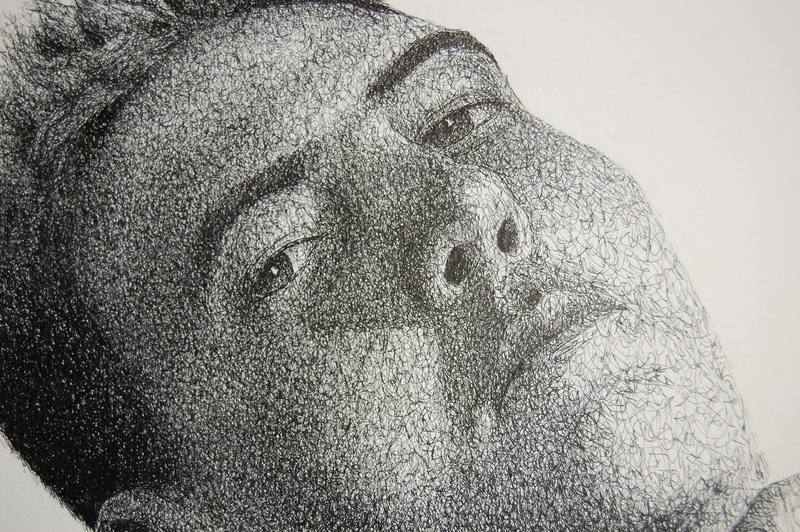 He is currently studying under the great American portrait artist Nelson Shanks at Studio Incamminati in Philadelphia. 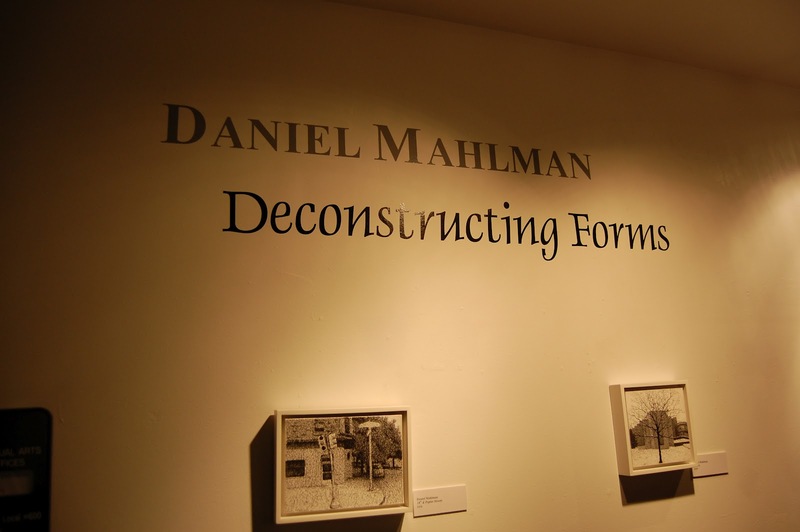 Last Friday his first solo exhibition “Deconstructing Forms” opened at the Banana Factory in Bethlehem, Pennsylvania. It is a retrospective of his pen and ink collection. I admit that I am completely biased, but they are incredible. From a distance they look as if they could be photographs, but close-up you can see the amazing detail of every tiny pen stroke. 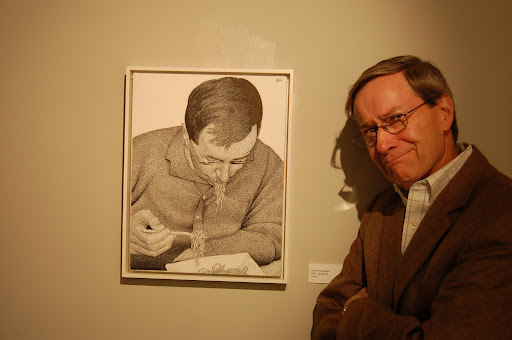 The judge in one art competition compared his technique to that of the French Impressionist George Seurat. It was such a pleasure to be able to see his body of work hanging on the walls and to watch others examine the pieces. Each time a stranger took a few steps back to get a different perspective on a particular piece, my smile grew wider. I am so proud of my little brother, both for his talent and the bravery it took to devote himself to a “job” that has no guarantee of success no matter how talented you are, and certainly no guarantee of a steady income. I am not sure I would be able to do the same thing. The highlight of the night for me was to see Dan — surrounded by his work — greeting friends, family and admirers and receiving the accolades that he so richly deserves. It was such a wonderful evening and it will continue to inspire me and remind me why I set out on this journey of mine. 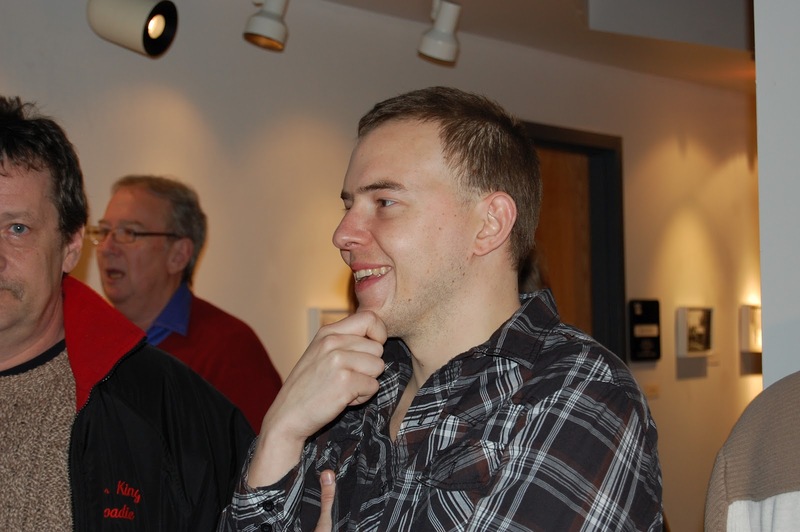 “Deconstructing Forms” runs though March 18, 2012. To see more of Daniel Mahlman’s work please visit his website. You can see more pictures from the opening on my Facebook page.